Self-Esteem Challenge Day 19: What Activity Makes you Feel Alive? Today is Day 19 of the Self-Esteem Challenge, originally from Better than Dark Chocolate. It’s a series of questions and prompts to get you thinking about your good qualities and things that make you happy or proud. See my introductory post for more info. Do you have an activity that makes you feel alive and good within yourself? 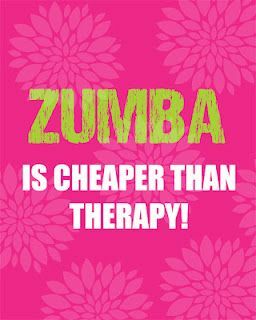 I have quite a few hobbies, but the one that stands out as making me feel alive and good is Zumba. I urge anyone who wants to feel better about themselves and have some fun to give it a go, even if they don’t think they can dance. I was worried I wouldn’t be able to pick up the moves at first, but it was easier than I thought and even though I still get things wrong it really doesn’t matter! I’ve found all that matters is that you keep moving and enjoy it. Because all the music is latin-based and you do some Salsa-style moves, you move your hips and abs a lot, as well as the rest of your body. It’s not only a great workout (I burn about 486 kcals in 45 mins!) but it also makes me feel sexier and the music is amazing! I can really lose myself in the beat and let go without caring what anyone thinks of me. Two of my friends now go with me as well, which makes it even more fun as we have such a laugh. 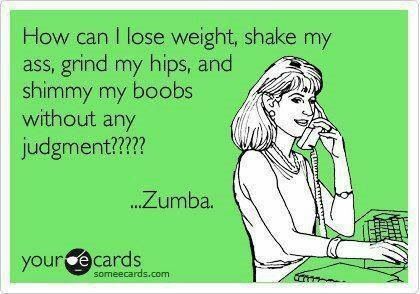 I definitely know I’m alive when doing Zumba-the burn in my thighs proves that!